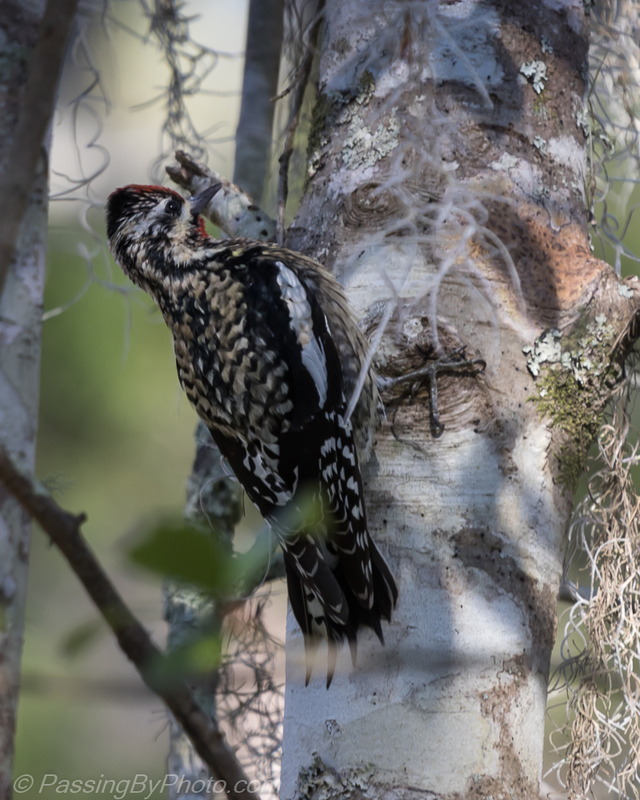 The Yellow-bellied Sapsucker’s markings are more distinctive right now than I’ve seen, especially the white stripe along the edge of the folded wing. The one below was too busy flirting with another at the edge of the woods to drill sap holes. The Spanish moss, artfully hanging from the trees, was a nuisance today as a breeze flipped it around…wait for it to swing away and hope the bird stayed put. Back at the parking lot another Sapsucker was munching on these red fruits. 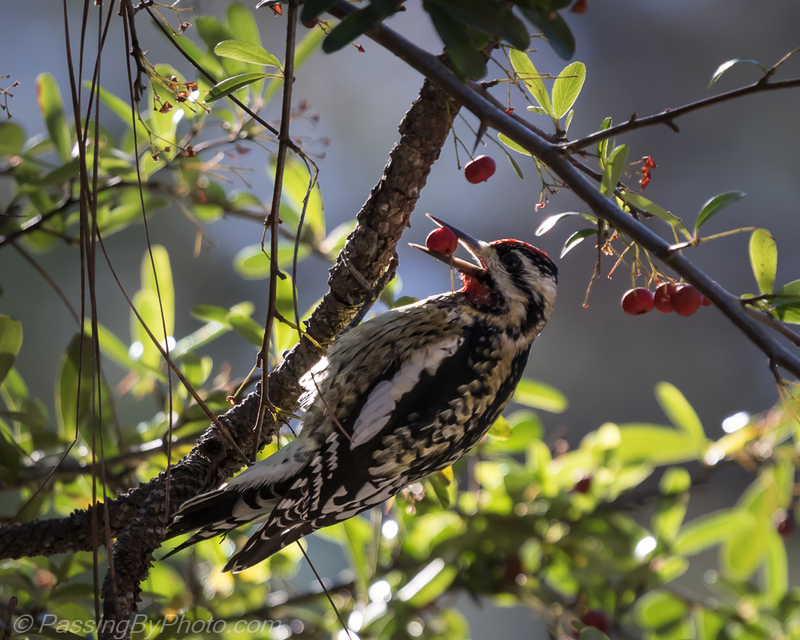 He took them to a nearby pine tree and used the rough bark to hold the fruit while he pecked it. The header shot is great. Wonderful shots of this beautiful bird. I particularly like the last one! Thanks, Belinda. That was my favorite, too. I waffle about putting the best first or last in a post, especially with the knew Reader format. Or just go with the best and forget the others.